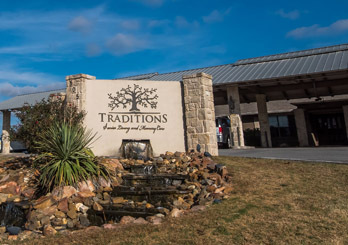 Traditions Senior Living & Memory Care is the premier family owned assisted living and memory care community in Sherman, Texas dedicated to making our Residents’ lives better. Traditions Senior Living & Memory Care is the premier senior living community in Sherman, Texas dedicated to providing the highest quality of life for our Residents. Our service and hospitality ensure our Residents are afforded the independence they deserve while receiving the support they need, all while living in their own private homes. 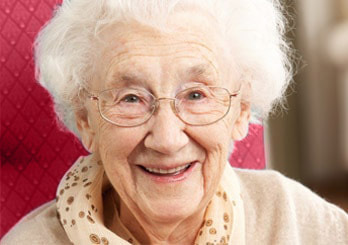 Traditions Senior Living & Memory Care is more than just a place to live. We offer the finest accommodations and highest quality service to every Resident in our community. Each Resident can truly celebrate healthy living, with a wide range of onsite amenities, convenient access to care, and personalized services. Meet our friendly and experienced staff here at Traditions, where family always welcomes you home. Traditions offers a home-like atmosphere made with your comfort and safety in mind. Come learn what makes Traditions Senior Living & Memory Care different from the rest. What sets Traditions Senior Living & Memory Care apart from other senior living options? It is the quality of our staff and the relationships they develop with our Residents and their families. Our Residents deserve the best and we work hard every day to deliver nothing but the best. If you are looking for the premier assisted living or memory care in the Texoma area, call or come by Traditions Senior Living & Memory Care in Sherman today! 12:00 AM | Happy Birthday Lounan! "In April 2011 we made the decision to move my Daddy to Traditions after a hospital stay... He now calls Traditions his home and is so thankful for such a beautiful place to live with people who take such good care of him. 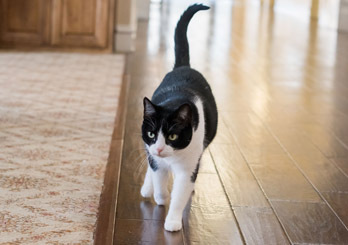 He never likes being away from his new home for very long, always anxious to get back. Why wouldn't he, it is such a great and fun place! Traditions is truly a blessing to my family because we never have to worry about whether our Daddy is eating right and getting the care he so deserves. There is no doubt that he is being treated like a King living in a castle!" "I lived in the country and have been isolated most of my life. Living at Traditions has been a whole new way of life for me. Living and learning to be close to people every day wasn't easy at first. However, meeting people and making new friends has been a rewarding experience and I have grown from it. I'm happy to be here." "My husband lives at Traditions. The community is nice, neat and always clean. The staff have all been kind, helpful and thoughtful. I'm confident that he is being cared for with grace and dignity." "I couldn't believe how pleasant and courteous everyone was when me and my husband first moved in! I thought, 'Oh Well, it will change after we get settled in' BUT it is still the same, no fussing, no cussing, no screaming at each other...just every day family living! The food is good, the premises are kept exceptionally clean and our laundry done weekly or more often if needed... Each resident receives the same quality of care. Our medicines are administered on a daily basis by the staff. There is a variety of activities always offered for whomever wants to participate. My heartfelt thanks to you and the staff for providing this 'Home Away From Home.' "
"I wanted to let you know how much I appreciate you and your staff and all that you have done for my mom, Shirley H. Words cannot express the relief and peace of mind I have felt since my mom moved in. I recognize the tremendous improvement in her demeanor and attitude and know that your staff are responsible for that change. Please know that you and your staff are truly making a difference in the lives of your residents and improving their quality of life. I am so glad that I made the choice of Traditions for my mother’s temporary home. Let all the staff know that I appreciate their efforts and that I thank God for their kindness and dedication!" © Traditions Senior Living. All Rights Reserved. Traditions is a Renaissance Senior Living Property.